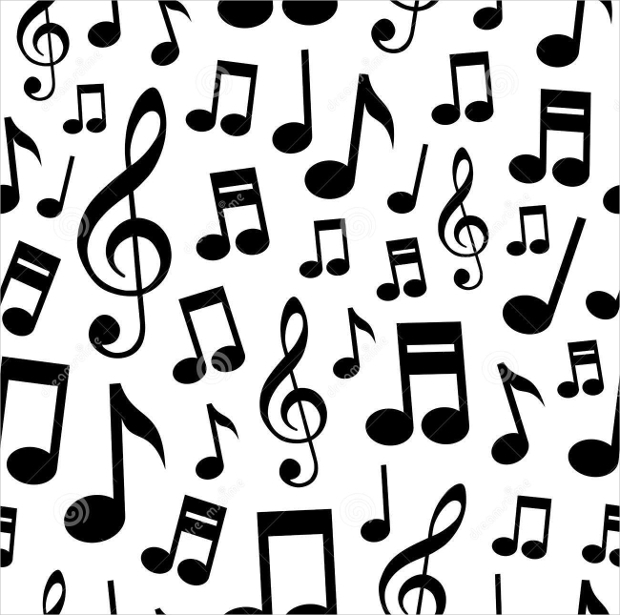 Ever since culture and civilization came into being the existence of music was also discovered. 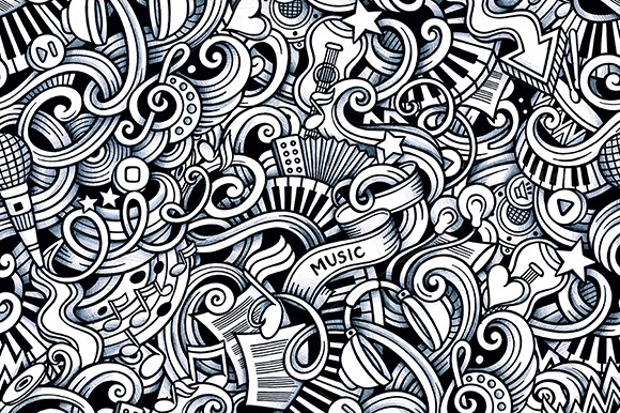 We credit the artist every time we come across a fine composition. 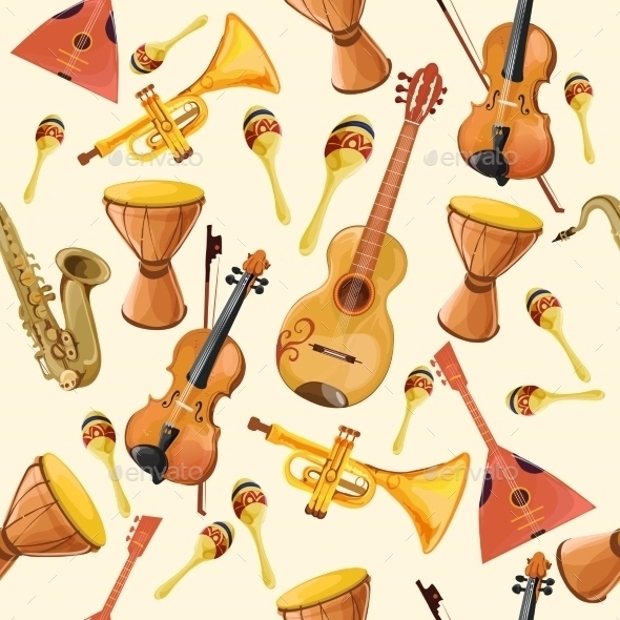 But sometimes the music instruments also deserve the credit. 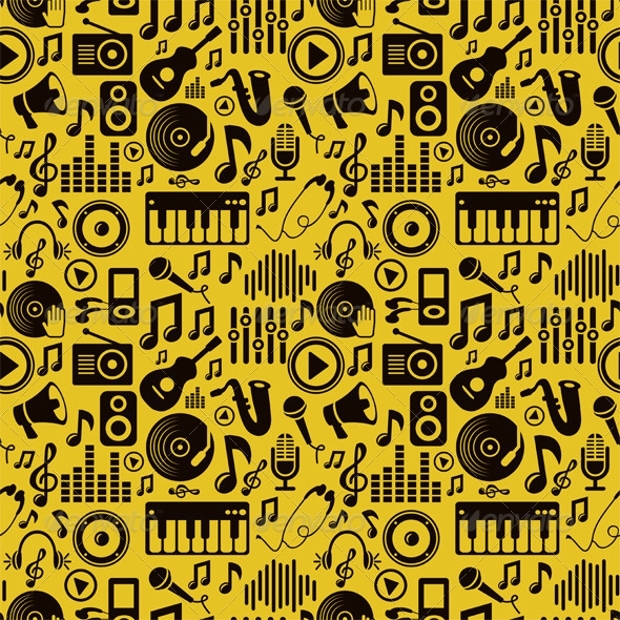 Now similar to paisley patterns, even music patterns designs can be used for wallpapers, textiles, gift wrappers, brochures, flyers, and background as well. 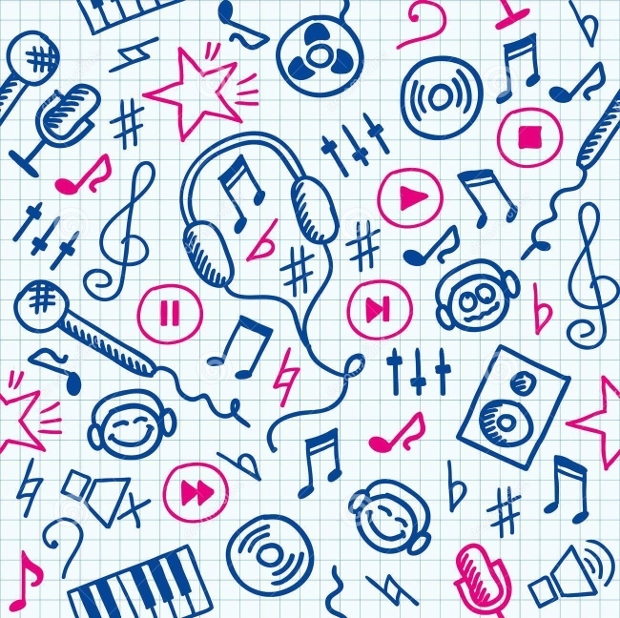 Put up your creativity and explore some of the best musical patterns that you can add to your project. This design is quite colorful but decent to be used in any project. If you take a close look at it, you will understand how finely the design has been made with pictograms and icons. 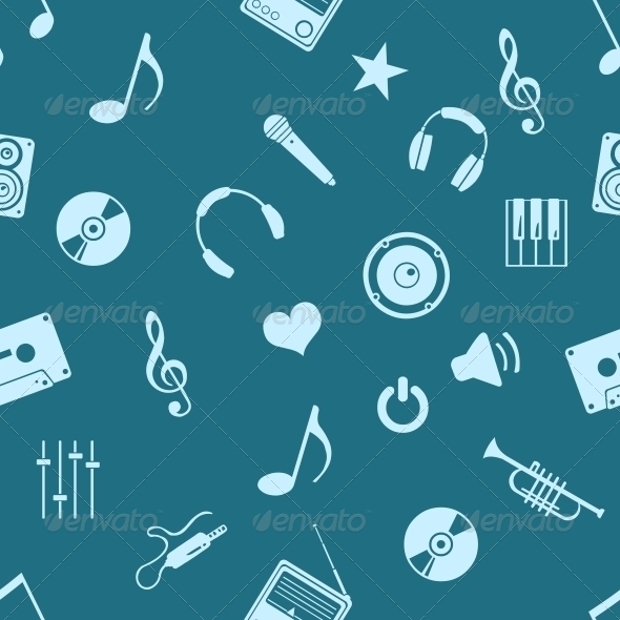 It has a vector seamless background and comes with JPEG and EPS files that can be used. 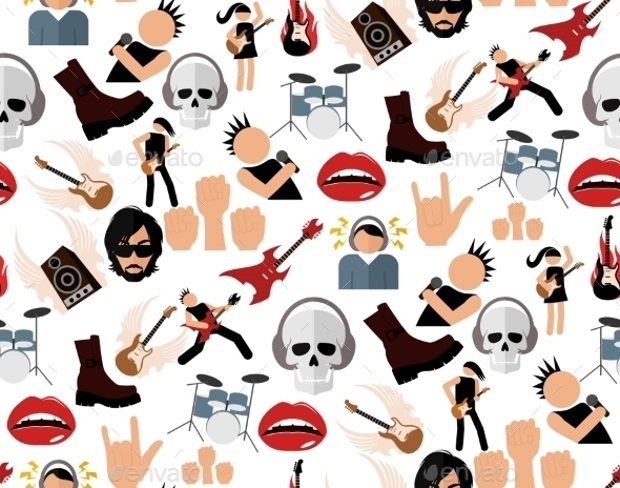 This set of pattern comes with 5 different graphics which you can use. 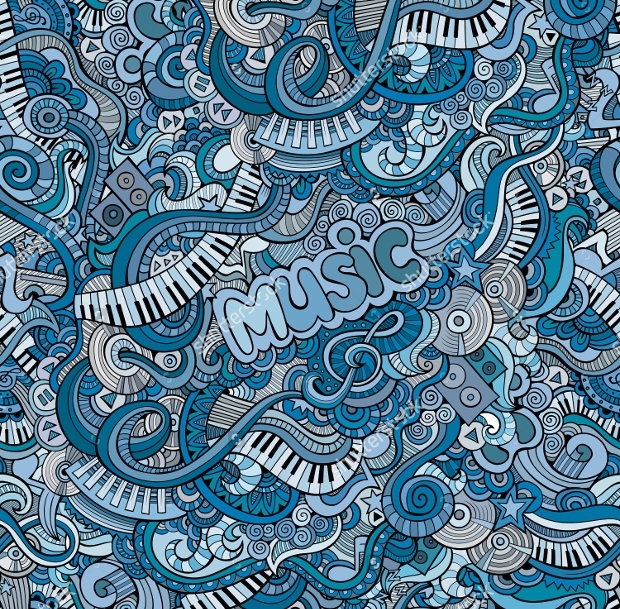 It also has a vector background with graphic lining as part of a creative artwork. 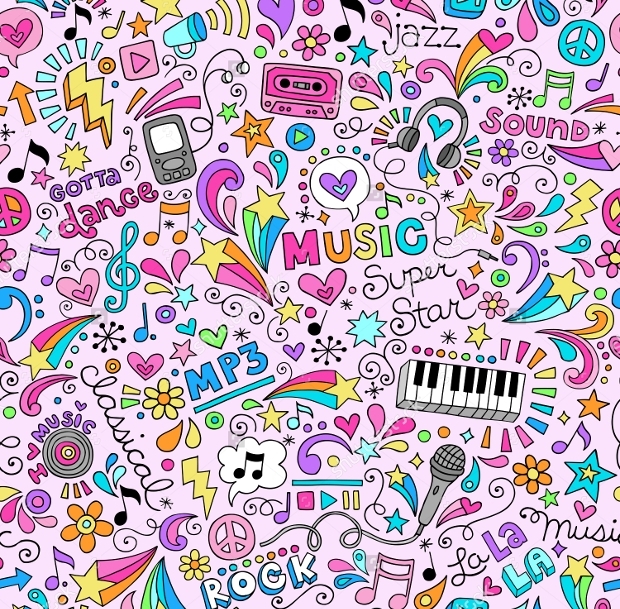 This seamless background can be used for clothing, packaging, and decoration purpose and is available in 5 JPEG files. This is another interesting design that you can use in your project. It is available in different sizes which make it more useful for any type of project. It comes with high resolution and is available in JPEG and EPS files. 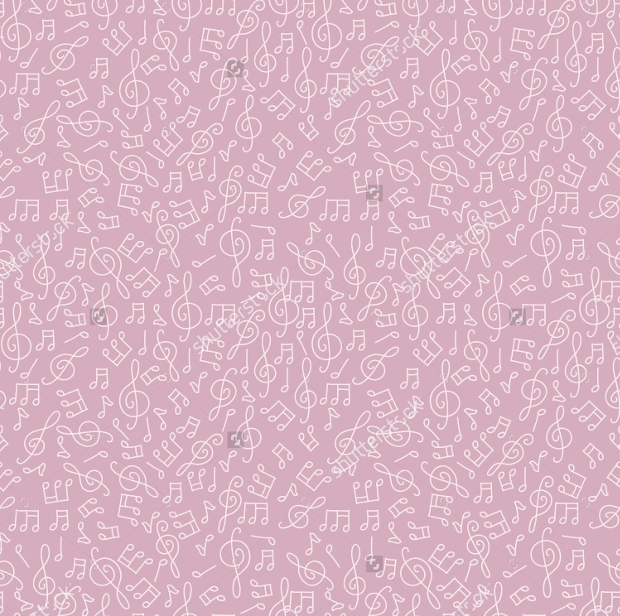 This seamless background pattern is well crafted to meet the fine design requirement. It is available in high resolution with 300 DPI. 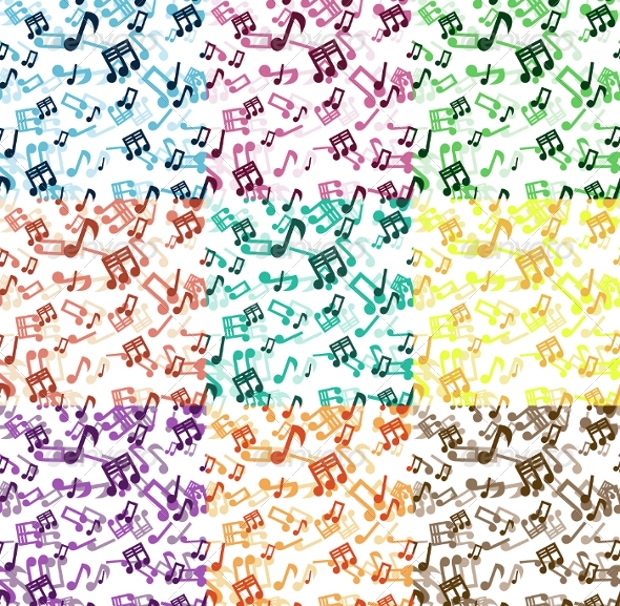 In case, you wish to make any changes you can do so as the file comes with EPS and JPEG format and has vector pattern. 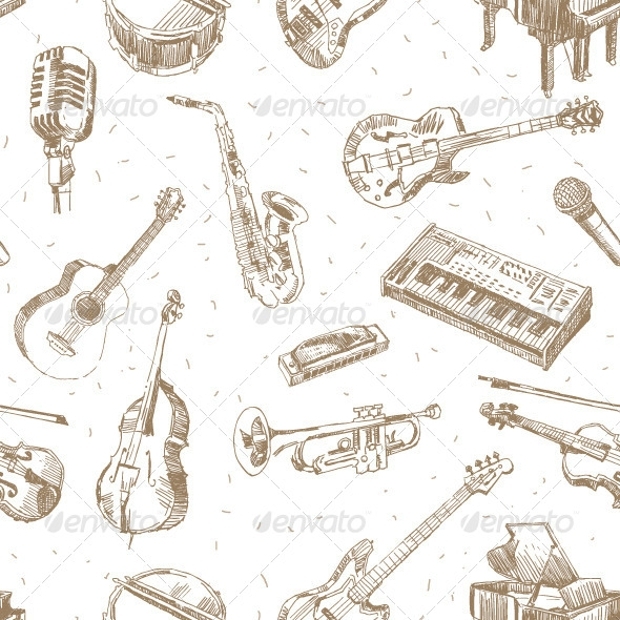 In this seamless pattern, the entire background is filled with Guitar design which really looks nice, creative and decent. You can use it for any of your projects in the size of your requirement. With high resolution and easy customization option, this is one amazing pattern to try. 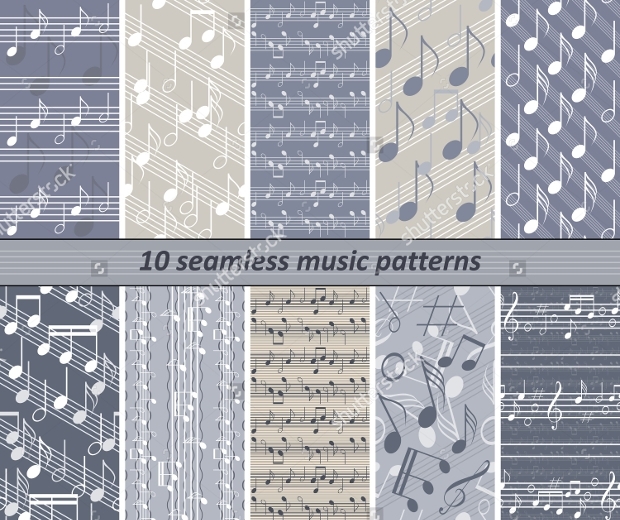 This pattern comes with EPS and JPG files and has many colors that can highlight the entire project. You can use it for background, wallpaper, flyer, brochure, and textile for enhancing the effect. This is another unique pattern that you can try out. It has been designed in different sizes out of which you can choose the one which matches with your project requirement. 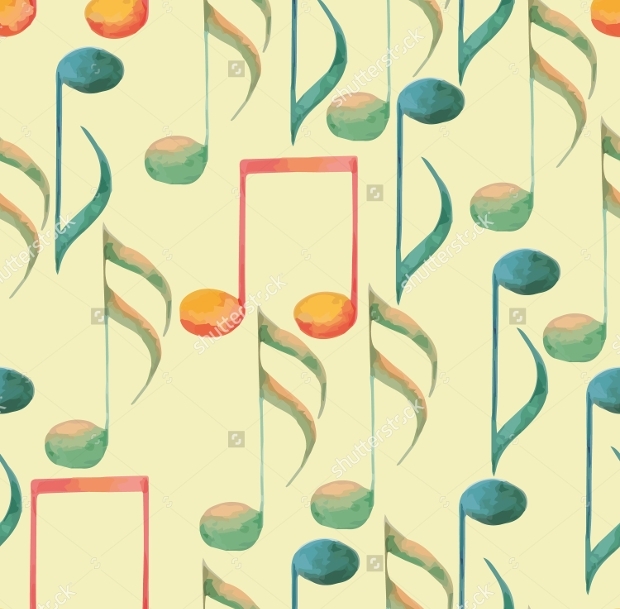 This pattern has a water color effect with musical designs. 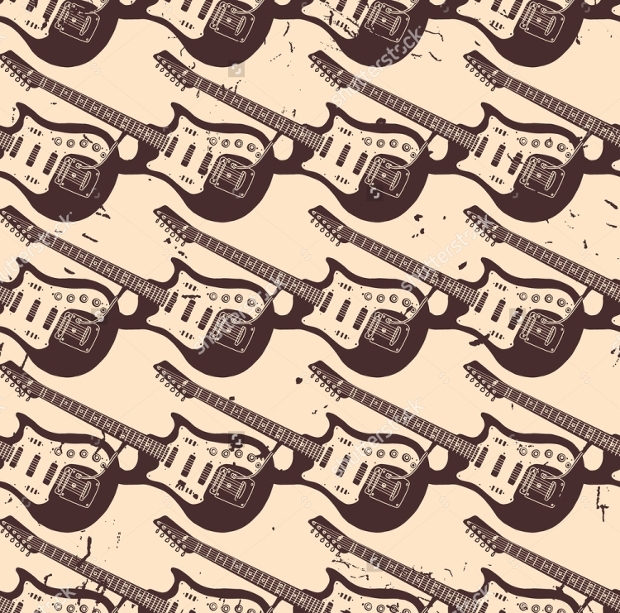 This seamless background pattern is filled with folk music and guitar all over the place. It comes with vector illustration and is available in JPEG format and EPS file which can be used for editing. 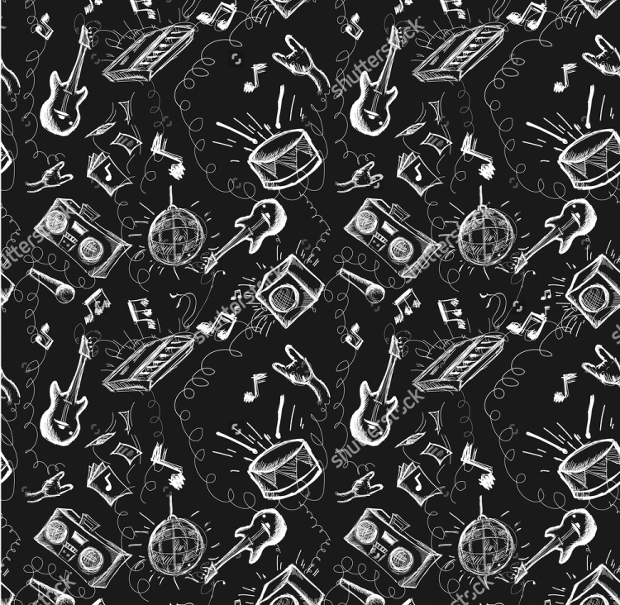 This seamless pattern has the design of black music notes spread all over the pattern. It is used in many projects and can be customized as per the requirement. You can take a print of it, use any size for the project, and change the color and experiment with it further for enticing effect. It has an EPS file available. This is another creative pattern is quite interesting to use in any project. It is available in 300 DPI of a high resolution of which you can take a print without compromising with the quality. 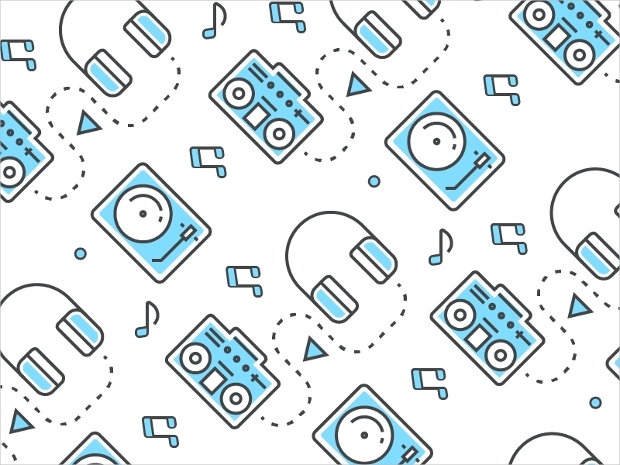 Use some amazing musical patterns as characteristic background for designing your blog and website and put the internal link anchor text in it in a creative manner. Choose your pick and increase the potential of your project by blending such creative art and fulfill your design requirement without any hassle.